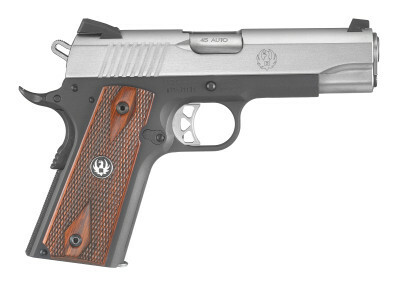 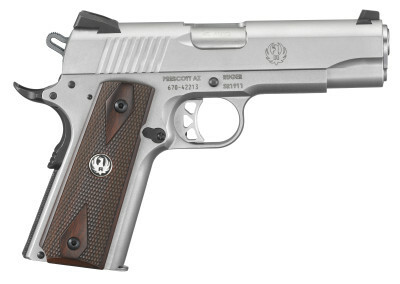 The Ruger SR1911 was released a few years ago and became an instant success. 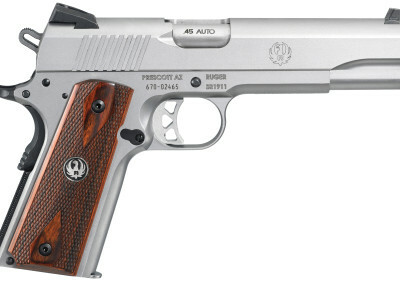 The stainless finish with black accents and wood grips give this gun the look other manufacturers charge much more for. With the SR1911, you get two 8 round magazines and a soft carrying case. The 5″ Government model is an accurate gun for target shooting or home defense. 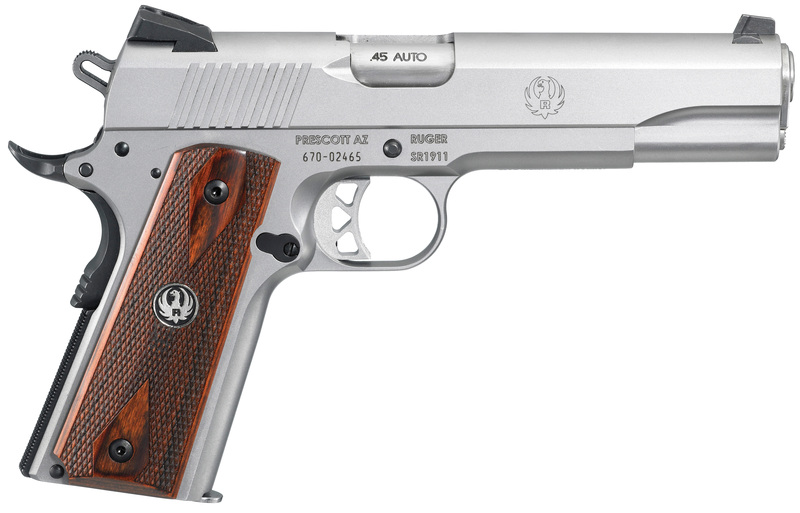 Ruger also offers a 4.25″ Commander model in either the heavy stainless or lightweight polymer frame.